This Arts & Economic Prosperity 5 (AEP5) study was conducted by Americans for the Arts to document the economic impact of the nonprofit arts and culture industry in 341 communities and regions (113 cities, 115 counties, 81 multicity or multicounty regions, 10 states, and 12 individual arts districts) — representing all 50 U.S. states and the District of Columbia. The diverse communities range in population (1,500 to more than 4 million) and type (small rural to large urban). Project economists from the Georgia Institute of Technology customized an input-output analysis model for each participating region to provide specific and localized data on four measures of economic impact: full-time equivalent jobs, household income, and local and state government revenue. These localized models allow for the uniqueness of each local economy to be reflected in the findings. 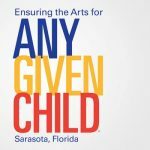 The Arts & Cultural Alliance of Sarasota County joined the study as one of the 250 partners. from the Florida Department of State/Division of Cultural Affairs.